Those words set the standard and example for generations of Dustoff crews, which provided helicopter aeromedical evacuation from the battlefield. They were also the death rattle of Maj. Charles Kelly. In terms of lives saved, his sacrifice was perhaps the most productive U.S. combat death ever. Kelly’s story may be instructive in demonstrating the shabby state of evacuation and care of wounded warriors today. 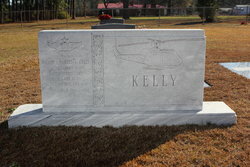 A World War II veteran, Kelly was in command of the 57th Medical Detachment (Helicopter Ambulance) in Vietnam in 1964. At the time, the 57th covered Vietnam with five UH-1 helicopters, better known as “Hueys.” The primary mission was recovery of U.S. casualties. Nearly 16,000 GIs were in country, mostly as advisers, and they suffered few casualties. Thus, the 57th did not fly a lot. 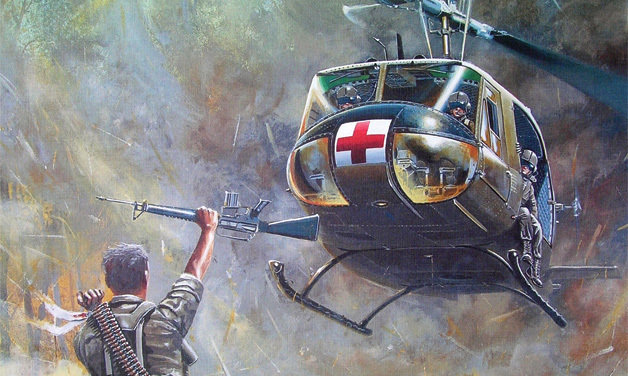 Although patients had been moved by helicopter in World War II and Korea, there was no doctrine on the control and use of Dustoff in combat. Kelly’s boss, Brig. 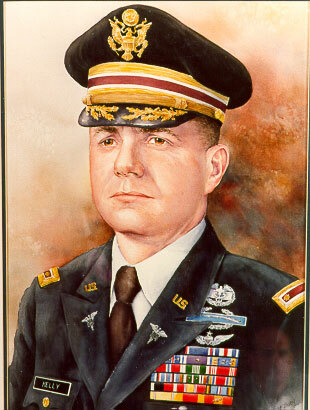 Gen. Joe Stilwell (son of the famous “Vinegar Joe” – we called him “Cider Joe,” but not to his face), had put the 57th helicopters under a transportation unit. This was a scheme doomed to fail, and it quickly did. The transportation guys were not trained as medics; that’s why they were called transportation soldiers. A helicopter ambulance is a medical resource, and all medical resources had been under medical control since the Civil War. But Stilwell was determined to control the 57th birds. Shortly after Kelly’s arrival, Stilwell announced that he would use portable red crosses for medical missions and remove them for ash-and-trash missions. Kelly was outraged, and the two men went toe-to-toe. Stilwell said he would take his case to the surgeon general, who was his friend. Kelly replied that he might be a friend, but he was no damn fool. Kelly had been shot and almost died in World War II. He was morally and physically fearless. He had also been court-martialed three times and cared more about doing what was right than about his career. I was in the unit when Kelly returned from his meeting with Stilwell. After warning that the higher-ups did not wish us well, he said that if we were to save Dustoff we had to prove we could rescue patients better than anyone else. He led the way, and we tried to follow. Our helicopters were moved to the areas of heaviest combat. Kelly marketed us, covering the countryside to tell our advisers that we were there for all casualties, day and night – and on the battlefield. Up to this time there had been little night flying. Reaction time is immeasurable in life-saving. Why must a patient wait for sunup when helicopters fly just as well – actually, better – at night, and the crew is safer from enemy fire? Our casualty load increased significantly, breaking all previous records. Kelly became a legend, flying up to 150 hours a month. Entire villages turned out for his pickups, and a Pulitzer Prize-winning writer began covering him. Because our night missions were unprecedented, many actually thought that Dustoff was specially trained for night flying. One commander ordered a study into how we did it, which concluded that night operations were too dangerous. But Dustoff defeated those dangers every night. Dustoff pilots, of course, were not specially trained. But through repetition, we became specialists in combat pickups at night, in weather and under fire. Through trial and error, we found ways to get patients with an alacrity previously unknown. If we encountered a situation beyond our capability we could call Kelly, but we never left a patient in the field; the welfare of the patient was our universe. We were a free-enterprise operation. Individual initiative ruled. We determined the risk (although I don’t remember ever hearing that word) by launching immediately and flying to the site. We had our own radio frequency and call sign and dealt directly with the grunts at the pickup site. There were no middlemen. Although we had three categories of patients – urgent, priority and routine – we responded to all calls instantly if we had the resources. This is the only way to prevent overclassification. It was unheard of to use two ships – a “gaggle” – or to waste time waiting for gunships except in extreme situations. Area security was undefinable, and a waste of time, between grunt and crew. We set a simple definition: stand up and help us load, and we will come in. The issue of portable red crosses was still pending in late June 1964 when, as Stilwell was leaving country, Kelly presented him with a plaque listing our tail numbers. “Here, General,” Kelly said. “You wanted my helicopters so damn bad, take them.” Stilwell smiled. The issue was decisively settled a few days later. He then curled up from a single bullet shot right through his heart, the 149th American to die in Vietnam. The ship curled with him and the rotors beat it to pieces.